With 100 Saree Pacts and features on the many ways to drape the six yards, the saree is having the spotlight turned on it all over again. If you are looking to enhance your saree wardrobe, here are creations from South India which have to be in your wardrobe. Kanjeevaram: The temple town in Tamil Nadu lends its name to the lustrous silk sarees that are woven here. Part of every South Indian bride’s trousseau, these pure silk sarees are known for their vibrant colour combinations and the intricate embroidery in silver or gold zari. Motifs range from traditional temple designs, peacocks and lotuses and scenes from the epics to geometric patterns. Arni: Arni again is a small town in Tamil Nadu that is famous for its silk sarees. The weave is special with weavers using both hands and legs on the loom. Arni silks are also known for their colours created by special mixing techniques. Different body patterns and pallus in one saree allow you to create different looks with one Arni silk. Mysore silk: From the royal city of Mysore come superbly soft silk sarees in brilliant colours. These sarees are light-weight and have simple, yet elegant borders in contrasting colours, embellished with zari. 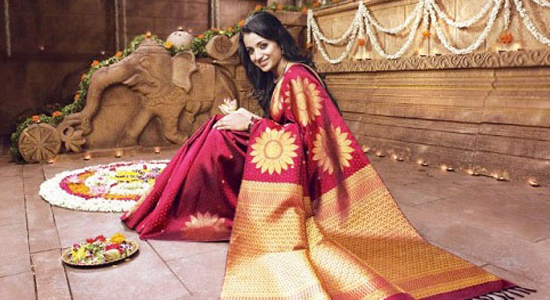 More recently, traditional kasuti embroidery is also featuring on Mysore silk sarees. Pochampally: Andhra Pradesh and Telengana have a huge reputation for textiles and the Pochampalli is probably the most famous of the sarees from this region. This saree comes from the Nalgonda district now in Telangana. It is unique in the use of geometric shapes created by the Ikat dyeing technique. 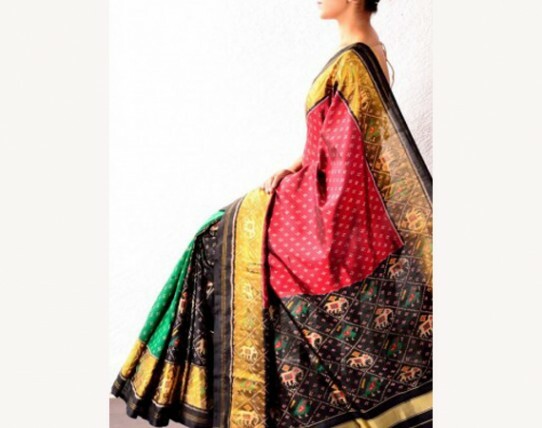 Parrot, elephant and geometric designs adorn these brightly coloured sarees. 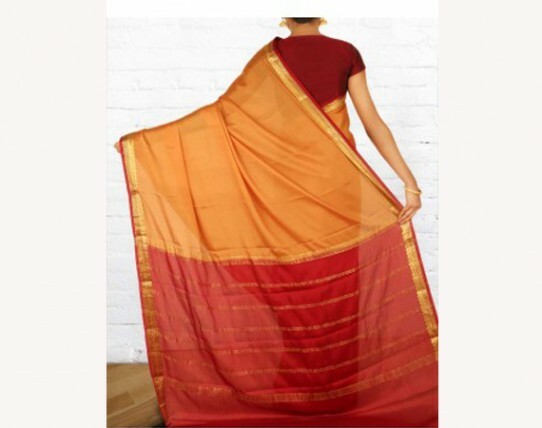 Gadwal: This saree comes from the small town of Gadwal in Mahbubnagar District, Andhra Pradesh, They are an attractive blend of colour and design. 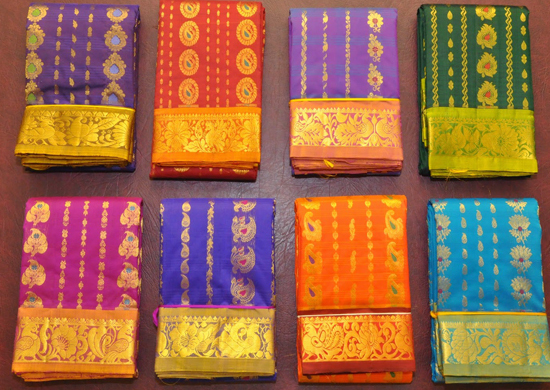 The sarees come in both silk and cotton, or a mix. Gadwal sarees can also be all cotton with the pallu and border in tussar silk. Sungudi: This hugely popular everyday saree comes from the region around Madurai in Tamil Nadu. Sungudi sarees are woven from fine cotton and can be identified by the all-over design of dots or tiny motifs. Borders are often in contrasting colours and have a touch of zari.